As said, le international police would show up whenever there's a Gangler. Commander Hilltop shows up and gets assaulted. Some policemen try to gun down said monster (So really, when will people learn regular bullets can't hurt monsters of the week?!). 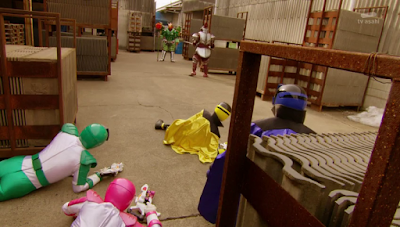 There's no smoothing sailing for either which side considering that le Patrangers have two targets -- the Lupinrangers and the Ganglers. The battle is on for the VS. Vehicles! Le monster of le week runs away for now. Both Medou and Destra have a discussion. I'm getting somewhat suspicious of Destra. He's operating without le permission of Dogranio Yaboon. I suspect that he's showing up with a motive in mind -- to ensure his place as the successor of le Gangler mafia. Back at le police station -- the Patrangers discuss about the VS Vehicles. Both sides are using the Lupin Collection but both can't get along. One's a helicopter and the other's a motorcycle. Speaking of motorcycle -- doesn't that remind you of Dekabike used by Deka Break in Dekaranger? Things go wrong (again) and mon dieu (my goodness in English) how are things? Le Lupinrangers and le Patrangers run into each other as usual. I'm feeling le need for more French goodness -- it's time for a good, old fashioned duel. 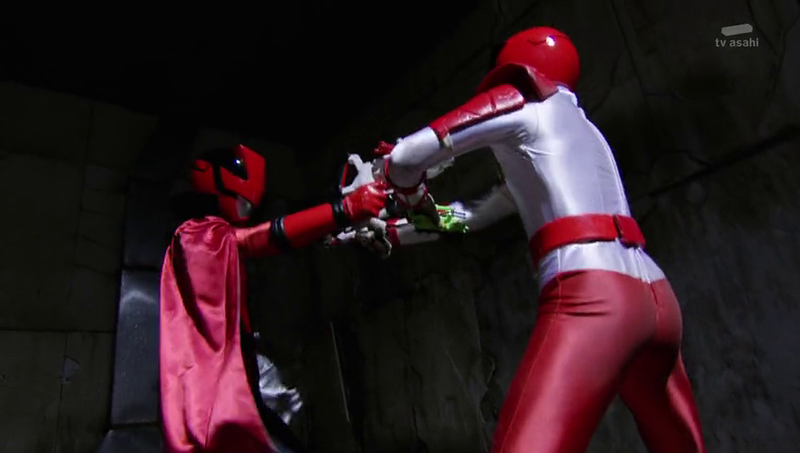 It has pretty good choreography but le question is when will we see both of them duel it out -- out of suit? 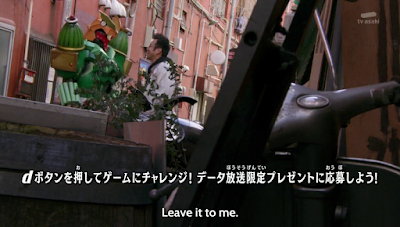 Patren-1 isn't aware yet of who the Lupinrangers are and his last trip to le restaurant ended with them just having a meal. Destra finally shows up and shows he's no joke. Lupin Blue is right to fear him. Neither team could stand him. It looks like both teams will have team up with each other whether they like it or not! It's pretty much a quelle horror or a horrible thing to have Destra show up. 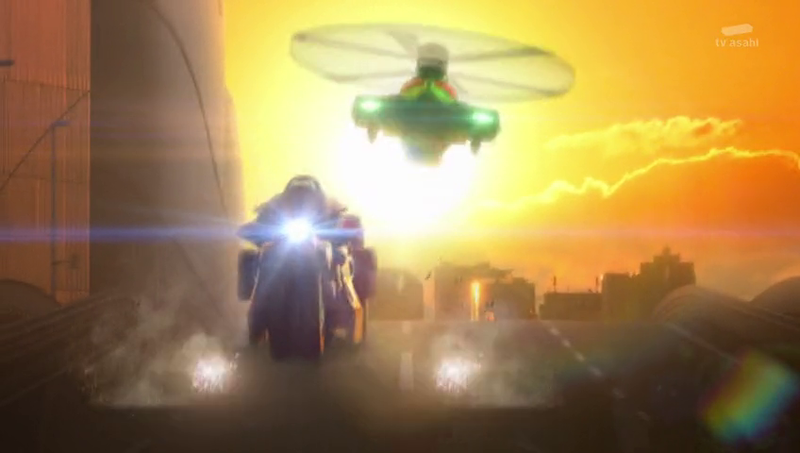 I admit this is some impressive CGI choreography with the VS Vehicles. Back then, everyone was stuck with the use of stop motion. 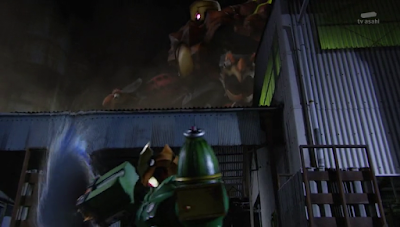 CGI really makes a difference with how mecha fight scenes are. 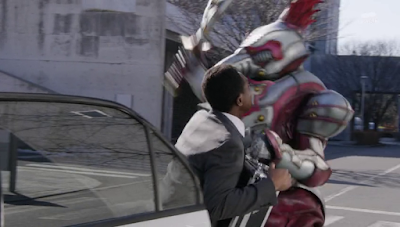 Lupinranger vs. Patranger is really trying to outdo the use of CGI in mecha scenes. I wanted to imagine Lupin Red saying, "Babayu detektib!" and "You're just eating my coconut shell!" Destra also demonstrates his power to unleash a Golum giant. Le monster of le week escapes for now. 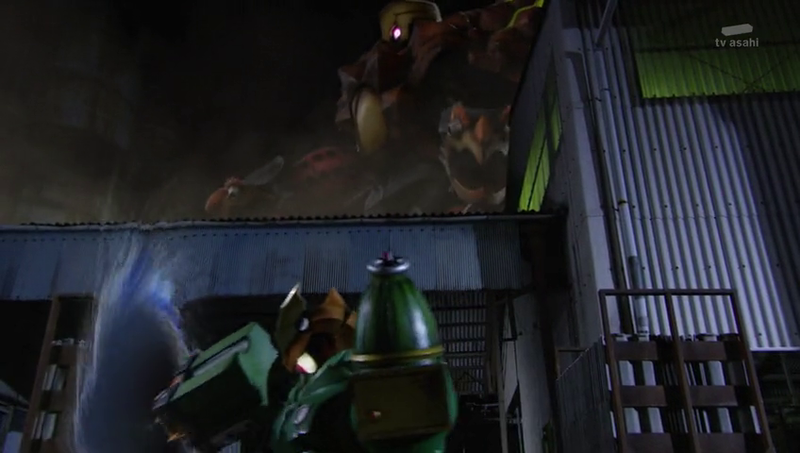 There's an impressive mecha battle which le Patkaiser does a hurried victory. What's more interesting is that Detective Zenigata Keiichiro shows just how bull-headed and maybe even more stupid than Ryo can be. 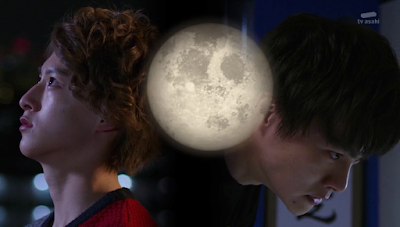 He's now holding grudges against Lupin Red (without knowing his civilian identity as Kairi) to his defeat. He wants to settle the grudge. I could imagine him being told lines line, "Detektib, dadalawin mo ba ako sa cementery?" or "Detective will you visit me at the cementery." I want him to really shout out loud, "Lupin huhuliin kita!" 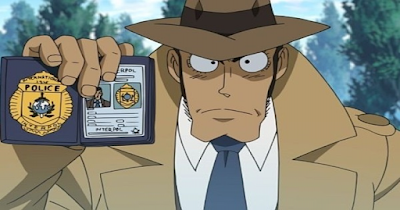 or "Lupin I will arrest you!" 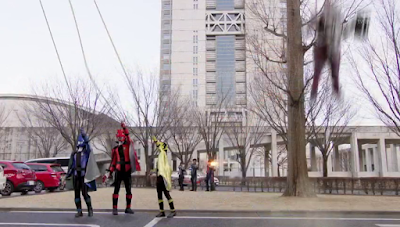 Next week, Keiichiro shows how bull-headed he can get. It's going to become a rather exciting duel if you ask me. 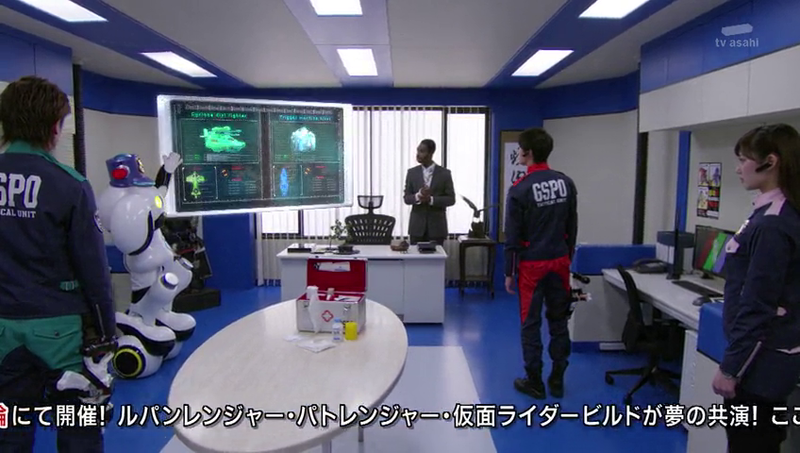 So when will Keiichiro discover who the Lupinrangers are? I hope that when it happens, it would be a midseason plot where both sides will have to settle their differences for a common good. Merci beaucop (thank you) to all my readers. Until next time!